When Anglo-Dutch consumer goods giant Unilever first entered the Ukrainian market in the early 1990s, the company had three staff members representing ten brands. As Unilever prepares to mark a quarter of a century in Ukraine this May, it now boasts over 200 employees across the country representing some of the most popular and successful consumer brands on the Ukrainian market, with a major production facility in the Kyiv region representing the company’s long-term investment into Ukraine’s future. The clearest signal of Unilever’s long-term vision for the company’s presence in Ukraine was the opening in summer 2016 of a production facility in the Kyiv suburbs. Located in the town of Gostomel just outside the Ukrainian capital, the new factory produces Unilever tea brands Lipton, Brooke Bond, and Besida. Raw materials for tea production in Ukraine come from plantations in Kenya, Sri Lanka, India, Argentina, Indonesia and Vietnam. The plant incorporates German and Italian technologies along with the latest Unilever global standards of minimal ecological impact in line with the company’s “Zero Waste to Landfill” corporate policy. The overall investment to construct this production facility was EUR 8.3 million. It began operations in June 2016 following a whirlwind nine-month construction process. 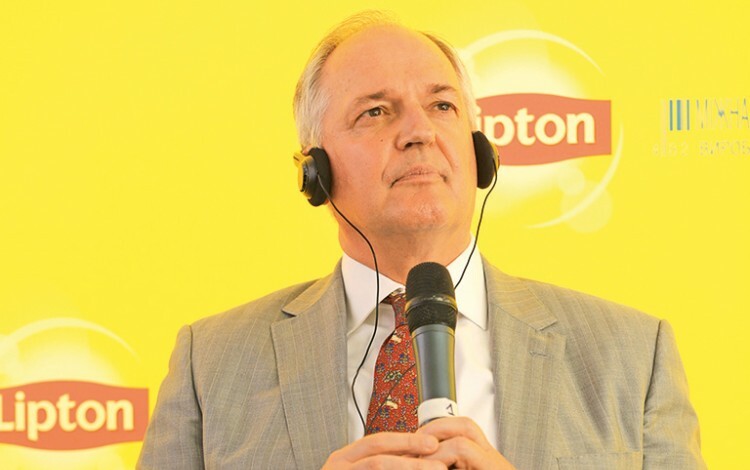 Mr. Polman also voiced his confidence in the strong Unilever commitment to the Ukrainian market and consumers, and stressed the importance of international investment in order to create sustainable economic growth. “Foreign direct investment projects like the construction of this plant will be crucial for the continued recovery of the economy. It is the right decision and a sign of our long-term commitment to Ukraine,” he offered. Following the opening of the Gostomel production plant, Mr. Polman received an invitation in 2017 to become a member of the Ukrainian President’s National Investment Council. In line with the worldwide Unilever sustainable living plan, the company’s brands engage in a wide variety of corporate social responsibility initiatives. 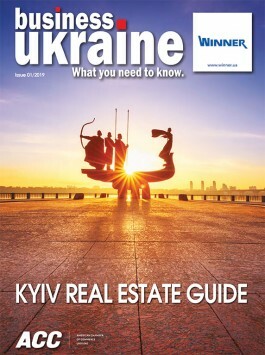 Highlights include 2014’s “Lipton – Amazing City” project which was recognized as Ukraine’s top social advertising campaign. Likewise, the “Lipton Park” project has won plaudits for encouraging careful consumption of natural resources and greater awareness of human impact on the environment. The annual Chestnut Run supported by Rexona brings together opinion leaders, consumers and company employees in support of pediatric cardio surgery. Unilever’s Clear brand has teamed up with UNICEF and supported the UNICEF Football Cup. In 2014, Unilever together with UNICEF provided aid to over 22,000 children who had suffered due to the conflict in the east of the country. The distinctive yellow-and-red branding of the company’s flagship Lipton tea brand can also be seen dotted throughout Gostomel on playground areas, beach umbrellas and building facades. This is all part of the Unilever policy of engaging with local communities by providing communal facilities and organizing local activities. In 2016, residents of the town set a new Ukrainian record when over three thousand people took part in a tea-drinking ceremony on Gostomel’s pretty lakeside beach.